New! Should Patients with Chronic Kidney Disease Take Cholesterol Lowering Medication? At Your Fingertips. Press this button for more info about us. Should Patients with Chronic Kidney Disease Take Cholesterol Lowering Medication? Graph shows the trend of total Lipitor / Atorvastatin prescriptions written over time. It 2016, 99,942,508 prescriptions for this statin were ordered. Notice the increased trend of use over time. Also note that this statin is the third most written medication in the United States based on total scripts written by providers. I received a question the other day regarding which patients with chronic kidney disease should be treated with cholesterol lower medicationing, such as a statin. 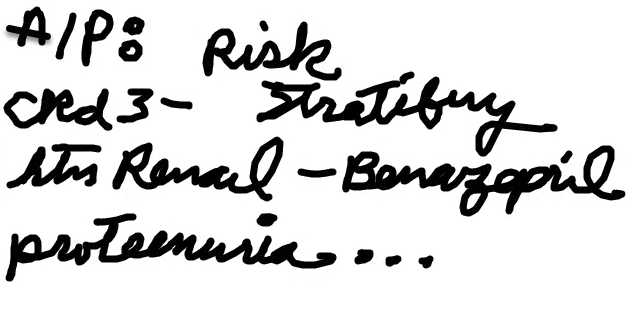 The answer is complex, keeps changing, and differs with respect to expert opinion. That said, let's give some basic recommendations that you might consider talking with your primary provider about. 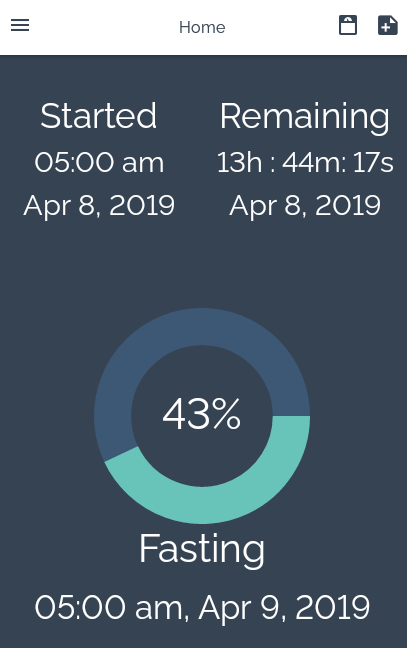 MyFast screenshot demonstrating we have completed 43 percent of today's fast. We also see how much time there is remaining in today's fast: 13 hours, 44 minutes, and 17 seconds. After losing 30 pounds of fat weight, and achieving my target, ideal goal weight, I swore I would never become overweight again. My goal was to remain at a body mass index of 25 minus 5 pounds, so that I would have a buffer to allow for inadvertent weight gain during vacations, holidays, dietary indiscretions, etcetera. Improving Communication by Increasing the Signal to Noise Ratio in Electronic Medical Records. How Patients Can Help the Process. There was a thought back in the day that electronic medical records would improve communication amongst providers and patients. The system would be used to improve transparency, care, value, and keep everyone on the same page. Since the information would be typed, the data would be legible, and since it would be on a computer, it would be analyzable. Today's medical blog is designed to provide you with some tips and tricks to achieve your daily walking step goal. 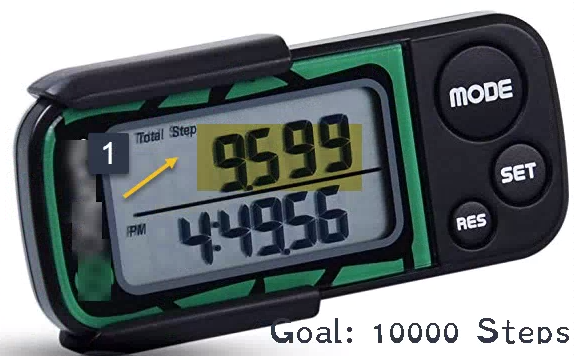 I am going to arbitrarily set our daily exercise step goal at 10,000 steps per day. Based on your level of health, you can increase or decrease the daily requirement as you wish. 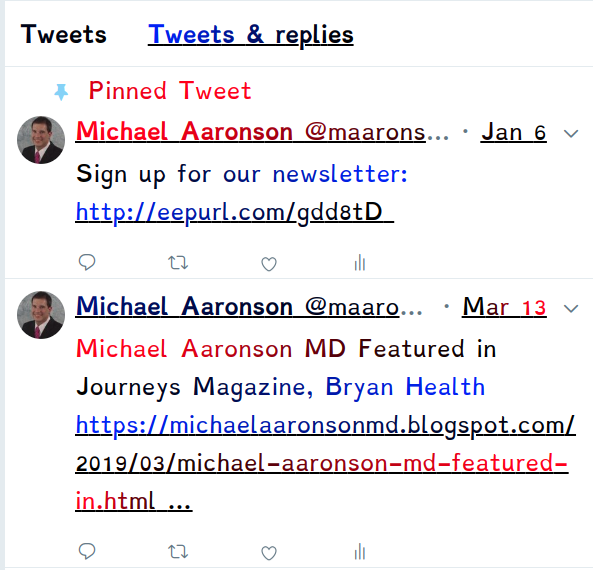 Archives: A complete list of Dr. Michael Aaronson's Blogs for your consideration can be found here. Make life easier: add our Google Chrome extension to your toolbar directly from the Chrome Web Store. FREE! 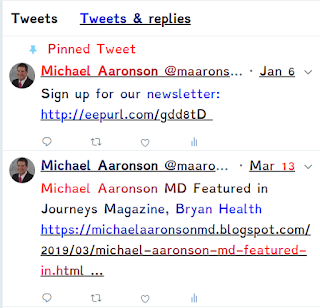 Please note: Dr. Aaronson does not endorse companies or products. Advertising revenue supports our mission.